Eureka, CA (July 3, 2018) – Redwood Acres Raceway’s biggest race in the summer season is lined up for this Saturday night. The Don Graham Memorial Firecracker 100 for the Mid-City Motor World Super Six Challenge Series late models has become a yearly tradition at the Acres. Bi-Coastal Media and McMurray and Sons will be presenting the big event which will feature a thrilling fireworks display. The points race in the Compass Community Credit Union roadrunners is an absolute runaway. Nick Ford has a stranglehold over the field as his gap over second place Lindsey Zito is 71 points. Third place features a tie between Tim Ratzlaff and Ronny Crump. Amanda Lohr rounds out the top five as she is 129 points behind the leader. The Bandolero division will not be in action this weekend but is quickly becoming a crowd favorite as the youngsters in the division have put on tremendous racing in the first season for the division. Aiden Kimberling has been steady all year long and is the leader in the standings. Second place Lane Anderson has been the driver to beat on a weekly basis. Anderson is nine points behind Kimberling despite missing the May 27th race. Kadence Mace is third in the points standings but 45 behind Kimberling. Maleesa Miles is fourth in the standings and is the only driver other than Anderson to have a main event victory. Trey Daniels is 123 points behind in fifth. The NorthCoast Lighting & Electric Legends division will also have the week of. This season has been dominated by Chris Lawrence. In spite of Lawrence’s control of the division, Tyler Peach is only 37 points behind. Aiden Daniels and Katina Baker are rookies in the Legends class and are third and fourth in the standings. Brent Mack is in the fifth position but is 113 points behind Lawrence. Jim Redd leads the Fortuna Wheel & Brake bomber division. His closest competition is Ryan Walters who is 51 points behind Redd. Wyatt Roach has returned to racing at the Acres and is 53 points behind Redd. Sam Brown is 71 points being Redd while Doug Way is 79. Going into this weekend’s race, only 11 points separate the two leaders in the Humboldt Hydroponics mini stock division. Brian Murrell, Sr. holds down the lead followed by Eugene Palmer. Scott Taylor is in the third position in standings but is 35 points behind Murrell. Gary Klinetobe is 41 points behind Murrell and Trevor Eacret is in fifth, 59 points behind the leader. Race number four for the Mid-City Motor World Super Six Challenge Series late models will be the feature Saturday night. 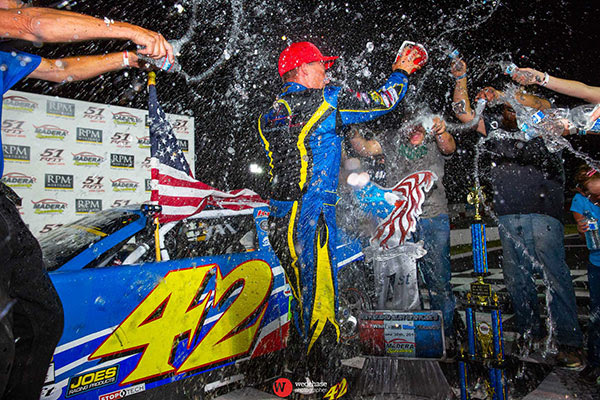 Mic Moulton has to be the heavy favorite going into this weekend’s Don Graham Memorial Firecracker 100 as he has won all three races this season. However, his advantage over second place David Henderson is 14 points. Marty Walsh is a surprising third in the standings in spite of having a season of bad luck. Veteran Dane Nissen is fourth with Kenny Demello finishing out the top five. Roseville, CA...... All American Speedway, located at “The Grounds” in Roseville, CA, will be the next stop for the North State Modified Series, presented by Protect the Harvest, in its “2018 Driving Out Cancer Tour.” The facility has new owners with the race track being promoted by long-time racer-promoter Bill McAnally of Roseville. Redwood Acres Raceway in Eureka was next on the NSMS schedule with Jason Philpot of Sacramento claiming that win over Eric Johnson and Kris Price. Houston's fourth place finish kept him up front in points, but Houston did not make the next race at Madera Speedway, handing the number one spot in the championship battle over to Kris Price. Cameron Austin drove to victory in the 60 lap feature at Madera for his first win in the North State Modified Series. Price finished third. 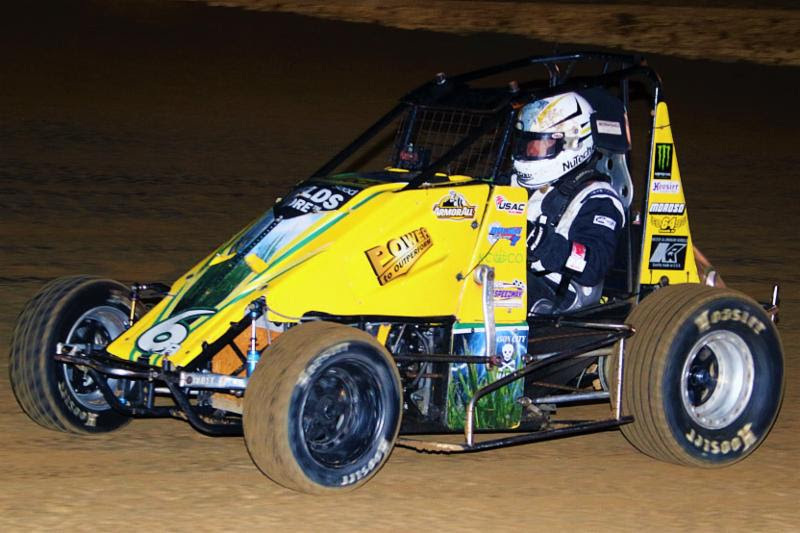 USAC's Speed2 Midgets compete in Indiana and California this week. 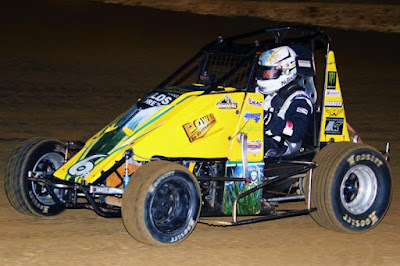 Friday's "Bill Gardner Sprintacular" features the Midwest Thunder and Engler IMRA Speed2 Midgets as part of the program which also features the AMSOIL National Sprint Cars at Lincoln Park Speedway in Putnamville, Ind. Saturday's "Gerhardt Classic" at Madera (Calif.) Speedway brings down the curtain on the 2018 USAC Western U.S. Speed2 campaign with an overall and pavement champion set to be crowned. In Putnamville, Pits open at 4:30pm while the spectator gates open at 4:45pm. The drivers meeting will take place at 5:15pm with cars scheduled to hit the track at 6pm. Adult general admission tickets are $25. Pit passes are $30 each. You can listen to all the racing action LIVE on the USAC app. Dan Cugini of Marshfield, Mass. led all 33 laps to win last Wednesday night's "Dave Steele 33" USAC Eastern Speed2/NEMA Lites feature as part of the "Boston Louie Seymour Memorial" event at Seekonk (Mass.) Speedway. Calvin Carroll finished second ahead of Seth Carlson, Jim Chambers and Matthew Swanson. The race was a "special event" and therefore did not award Eastern Speed2 points. The Eastern series resumes July 14 at Highland Rim Speedway in Ridgetop, Tenn.
Andy Baugh of Mason City, Ill. led all 20 laps to win Saturday night's IMRA race at Spoon River Speedway in Canton, Ill. Shane Morgan was second, followed by Austin Archdale, Robby McQuinn and Blake Buchholz. Will Hull of Plainfield, Vt, led the final four laps to win Saturday night's 25-lap USAC Laquerre's Sports Speed2 DMA Midget race at Bear Ridge Speedway. Seth Carlson finished second ahead of Justin Phillips, Derek O'Hearn and Joe Krawiec. USAC LAQUERRE'S SPORTS SPEED2 DMA MIDGET POINTS: 1-Jason Goff-420, 2-Seth Carlson-412, 3-Joe Krawiec-405, 4-Will Hull-364, 5-Justin Phillips-349, 6-Mike Chaffee-345, 7-Derek O'Hearn-327, 8-Manny Dias-293, 9-Randy Higginson-277, 10-Jeff Champagne-268. ENGLER USAC SPEED2 IMRA MIDGET POINTS: 1-Andy Baugh-594, 2-Robby McQuinn-490, 3-Blake Buchholz-386, 4-Gedd Ross-385, 5-Shane Morgan-383, 6-Jake Sollenberger-308, 7-Kurt Mueller-304, 8-Daltyn England-279, 9-Bart Andrews-250, 10-Kevin Battefeld-231. USAC SPEED2 MIDWEST THUNDER MIDGET POINTS: 1-Aaron Leffel-276, 2-Chett Gehrke-214, 3-John Heydenreich-193, 4-Stratton Briggs-187, 5-Alex Watson-185, 6-Cory Guingrich-167, 7-Jon Watson-153, 8-Gedd Ross-134, 9-Kyle Kriegbaum-115, 10-Andy Baugh-110. USAC SPEED2 WESTERN OVERALL MIDGET POINTS: 1-Adam Lemke-486, 2-Blake Brannon-435, 3-Joey Iest-307, 4-Johnny Nichols-211, 5-Cody Jessop-151, 6-Ariel Biggs-82, 7-Ashley Heredia-72, 8-Toni Breidinger-72, 9-Keoni Texeira-65, 10-Tyler Slay-62. USAC SPEED2 WESTERN PAVEMENT MIDGET POINTS: 1-Adam Lemke-410, 2-Blake Brannon-365, 3-Joey Iest-241, 4-Johnny Nichols-211, 5-Cody Jessop-151, 6-Toni Breidinger-72. MADERA, CALIFORNIA (July 1, 2018) – Running a tribute hood on his #42 Late Model, Matt Erickson won his third RPM Mortgage Pro Late Model Series race of 2018, Saturday, during the “Reverend Ron Spencer Red, White, and Blue Classic” at Madera Speedway. The 80 lap MAVTV-televised race was part of a large evening of patriotic racing in honor of the late track Champlain. Erickson qualified fastest but had to start sixth after the redraw. That placed Military Tribute Night Winner Racin Vernon on the pole position as he aimed for another patriotic win. The caution flew immediately on the 80 lap feature on lap one, then again on lap eight. Vernon’s run at the front ended after a lap 22 caution for Henk Gaalswyk spinning. Vernon lost a power steering cap and had a brief fire, but was able to rejoin the field. Erickson took over the lead with Jason Agguire up to second. Erickson’s lead was slowed by a lengthy red flag on lap 28 when Blaine Rocha and Kyle Gottula made contact for fourth. The ensuing melee gathered up Glen Cook and B Main transfer Garland Tyler as well. Vernon then lost a water line on lap 28 for another cleanup period and another red flag. Jarrett Gilmer suffered what he later described as a possible season ending engine failure on lap 40 that ended up beckoning the race’s scheduled break as well. Teams made repairs and adjustments and the top-three were interviewed for MAVTV before racing continued on the blistering night. A multi-car pileup occurred coming out of the break with rookie Christian Roche spinning. Gaalswyk and David Lewellen both made heavy contact with Roche to end their evenings. After a lap 53 caution for Vernon spinning, the race went green to the finish with Erickson topping Agguire, incoming points leader Austin Herzog, Adam Lemke for a career best fourth, and Ryan Hart. The championship battle between Herzog and Erickson has closed considerably with the $5,000 to win feature on July 28th looming large. Four-time Modified Super Toyota champion Kevin Thompson won the $500 B Main event for the Pro Late Models as well. 2017 51FIFTY Jr. Late Model Series champion Jesse Love IV earned his third win of the season as well to extend his points lead. Love was one of many drivers who had a close relationship with Spencer. Love qualified second behind six-time series winner Austin Herzog. Herzog also grabbed the pole in the redraw. Second starting Tyler Reif of Las Vegas, NV took over the lead from the get go while Love marched forward from his fifth starting spot. Herzog retired to the pits on lap 22 with mechanical woes allowing Love to assume second place. Love then took over the lead on lap 28. Dylan Zampa, a two-time winner this year, took over second on lap 42. The race was a special 50 lap race with no scheduled breaks and Love went on for a strong 1.4 second victory over Zampa. Tanner Reif took third from his brother Tyler late in the going with Kayla Eshleman fifth after starting eighth. Riley Massey of Bakersfield won her second Mini Cup vs. Bandoleros race, taking both the Bandolero main event and the overall win in the 20 lap race also televised for MAVTV. Bakersfield’s Kale McClenny returned to his winning ways by taking the Mini Cup portion of the event and finishing a scant .334 seconds behind Massey at the checkered flag The Mini Cup of Aaron Thomas, Zachary Ginn’s Bando, and Aiden Phillips’ Mini Cup rounded out the top-five. Both the Modified Super Toyotas and Toyota Sedans staged extra-distance 48 lap features as part of the special festivities. Jason Lawton led on three different occasions to take the Toyota Sedan main event in a narrow win over Barrett Sugden. Greg Tyler, Jillaun Holden, and Thomas Magray made up the rest of the top-five. Ryan Reynolds took the lead from his brother Shaun Reynolds and never looked back for the Modified Super Toyota victory. Dave Lander, Bert Stephens, and Zachary Cook finished out the top-five. Racing continues at Madera Speedway on July 7th with the Gerhardt Classic 100 Lap Three wide start BCRA Midget Race, the Western Winged Super Sprint Series for $800 to start, USAC Western US Midgets, CSS/360 Super Modifieds, Vintage BCRA, and Legends of Kearney Bowl.